One of the most highly anticipated new ABBA releases in 2014 is ABBA Live at Wembley Arena. ABBA had originally planned to release a live album from the 1979 tour in 1980, but canned the idea claiming that the tracklist would be too similar to the recently-released Greatest Hits Vol. 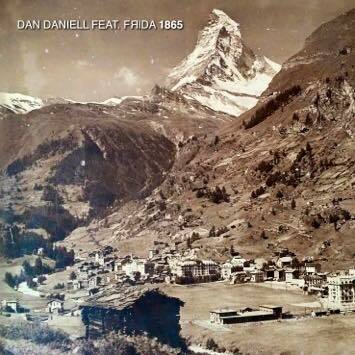 2 album. 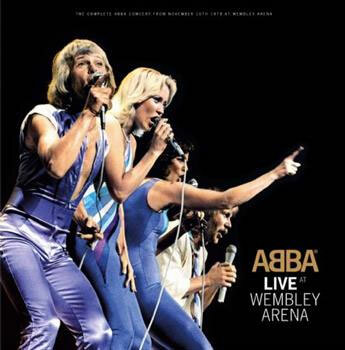 Live at Wembley Arena will feature one entire concert, recorded on November 10th 1979, ABBA’s final night of five at the London venue. However, it excludes the guest spot from backing singer Tomas Ledin, who sang his solo hit ‘Not Bad At All’ in an attempt by Polar Music to introduce the singer to the wider world. The cover was revealed slowly over the course of a few days in late June on ABBA’s official Instagram page. 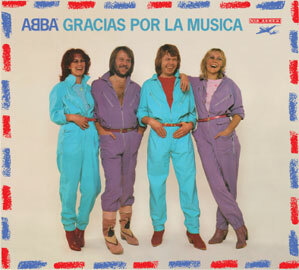 Instantly fans were expressing their opinion on all the ABBA online forums, even when all that was seen was the lower right corner. The most common discussions have been the origin of the photo (taken at one of the US concerts in September, rather than at Wembley Arena), the placement of the album title, and even complaining at the omission of ‘Not Bad At All’, though most of them don’t actually like the song or the singer! But to the excitement of all fans, the album includes the unreleased song ‘I’m Still Alive’, written by Agnetha with lyrics by Bjorn, performed solo by Agnetha at the piano. Rumour has it the song will also be released as a single, though there doesn’t seem much point, aside from the publicity angle of the previously-unreleased song. Rather curiously, the front cover is a colorized version of a well-known photo from Anders Hanser. It’s a quite dynamic and active cover, not at all like most people expected (obviously, judging by the continuing online comments). Thankfully it’s not the overused photo that first appeared on the ‘I Have A Dream’ single sleeve in December 1979. Live At Wembley Arena will be released on 25 September 2014 on double CD, download, and triple LP. There has been talk that the download version will have an exclusive 15 minutes of material recorded at the Royal Albert Hall in London on ABBA’s 1977 tour, but this has not been confirmed. Among the many new releases commemorating the 40th anniversary of ABBA’s Eurovision triumph, one of the big ticket items (mainly due to its size and its price) is the box set ABBA The Singles. The Singles contains 40 7 inch vinyl singles, 40 singles for 40 years. It includes replicas of all 31 singles released by Polar Music in Scandinavia, from ‘People Need Love’ in 1972 to ‘Under Attack’ in 1982, including the Swedish language singles of ‘Ring Ring’ and ‘Waterloo’. For those singles that were released in Sweden, they appear here as they were originally released. As not all Polar singles were released in Sweden, the Danish or Norwegian singles were the template for the rest. The other nine singles come from all over the world. The German singles of ‘Ring Ring’ and ‘Waterloo’ and ‘Honey, Honey’ (though in English, but it includes the 1974 ‘Ring Ring’ remix on the B side); The French single of ‘Waterloo’; Argentinean singles of the Spanish versions ‘Chiquitita’ and ‘Estoy Soñando’; plus ‘Lay All Your Love On Me’ (from the UK), ‘Happy New Year’ (Portugal) and ‘When All Is Said And Done’ (Australia). Also in the box set are a set of cards with Bjorn telling stories behind the six of the songs. These are fascinating insights into both the lyrics and the circumstances around the creation of the songs, and I would have loved to have seen more of these – not necessarily one for every song, but maybe 12 or 15. A couple of things could have been done differently. Personally, I would have liked to have seen the additional 9 singles have modern style labels, rather than matching the contemporary Polar labels. 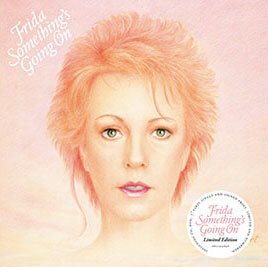 And perhaps it could have included a different ‘Estoy Soñando’, for a different sleeve image and B side. As I was honoured to have helped with the selection of singles, I could have suggested a different single. But those are just minor quibbles. The Singles is limited to 4,500 (unnumbered) sets. It’s beautifully made, with each single reflecting its original release, right down to the label style, hole size and quality of paper used for the sleeve. It’s a lovely collector’s item. This week I received the Super Trouper Edition, a limited edition numbered boxed set (number 847) including the book, a set of postcards, and documentary DVD. The book features over 600 photographs from the ABBA members as children, through their early careers in music, the ABBA years and beyond, right up to a photo of Benny, Frida and Bjorn together at Mono Music in May 2013, the day after the opening of ABBA The Museum. The deluxe version also features an extra section of photos of ABBA in concert. The book, and indeed the box set, are beautifully presented and well laid out. Of the 600+ photos 100 are said to have never been published before. To my eyes many more of the photos have been rarely seen, if ever. Even those all-too familiar images are welcome, making the book a tribute to ABBA’s lasting legacy. Browsing through the book the first time I did have a moment of déja vu, during the later ABBA years. There are quite a few Anders Hanser photos at this point, as he took so many photos of ABBA during that period, which makes the section feel similar to the Hanser photo book From ABBA To Mamma Mia! (2000), with the same images presented in a similar manner. It’s not a complaint, just an observation. The text tells an abbreviated version of the ABBA story, with comments from Agnetha, Björn, Benny and Frida on events or the photographs themselves. I haven’t read the text yet, but from the bits I have glanced at show signs of being translated from original Swedish text – Stig Anderson is always referred to as Stikkan, a stage name he took in the 50s that became the nickname he was known by in Sweden for the rest of his life, but never outside of Sweden, and there are references to “the ABBAs”. But that’s just a personal gripe, it doesn’t detract from the book at all. Curiously, I notice that some of the record cover images throughout the book have been sourced from the internet -I’ve spotted my scan of the Australian 1973 ‘Ring Ring’ single from ABBA for the record. As always fans have been polarised. First over the price of the special editions, then over the contents of the book, the handling of the release by the publisher and distributor. Some complaints of manufacturing faults and damage in transit are indeed valid. But to complain about the contents not meeting expectations (whatever they might have been) or “too many photos that have been seen before” just seems petty. The publishers have posted a message with an email address to report any problems with the book, though that hasn’t stopped fans venting online, as if that would fix things. I do think it’s strange that after it seemed that the release would coincide with the Eurovision anniversary in early April, suddenly the book was made available a month earlier. It has led to those who ordered the deluxe editions, who were promised delivery before the bookstore edition, are now getting their copies late. A very cute but small detail: the four ABBA figures (below) from the opening of ABBA – The Movie on the barcode label on the delivery box and the back of the presentation box. PledgeMusic will be working with one of Europe’s leading photographic publishing houses – Max Ström Publishing – on the international launch of the ‘Super Trouper’ collector’s edition of ABBA – The Official Photo Book, the first authorised photographic biography of one of the best-selling music acts of all time. 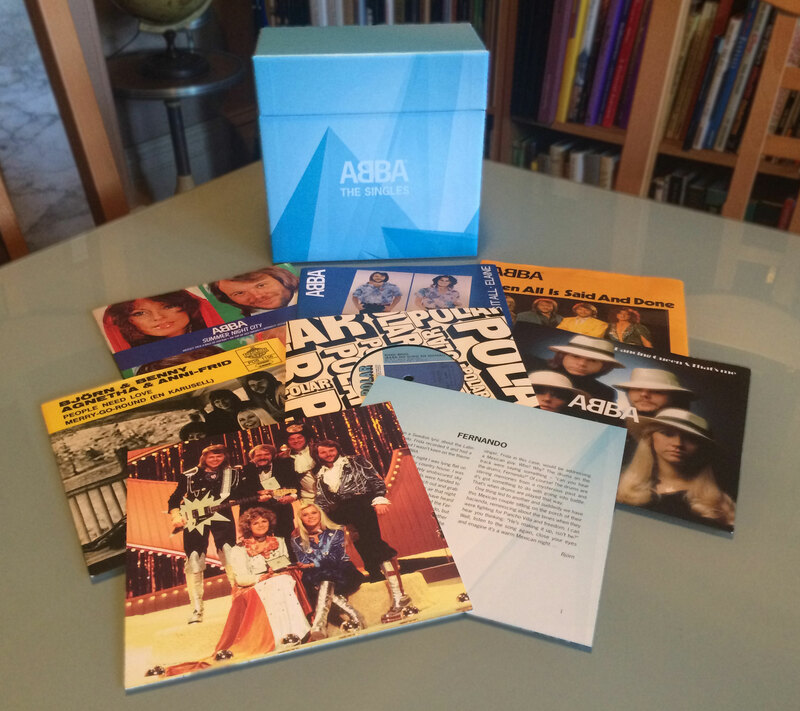 In choosing PledgeMusic’s direct-to-fan platform, Max Ström Publishing is giving ABBA fans the opportunity to pre-order the special ‘Super Trouper’ collector’s edition of ABBA – The Official Photo Book: for delivery in March ahead of the publication of the main consumer version which will be available in more than 20 countries in 2014, to coincide with the 40th anniversary of ABBA’s Eurovision win and resulting international breakthrough. The ‘Super Trouper’ collector’s edition of ABBA – The Official Photo Book has a limited print-run of 5,000 copies, each individually numbered and signed by the authors: award-winning picture editor, Bengt Wanselius, and leading Swedish writer, Petter Karlsson. The collector’s edition’s 460 pages feature more than 600 pictures (100 of which are previously unseen), 40 bonus pages of images (not available in the main consumer version), and is delivered in a presentation box. This will also contain a section with all the names of the dedicated fans who made the limited edition possible by ordering the book before 15th December 2013. Fans who pre-order the book will also gain access to private ‘Pledgers only’ updates from the making of the book. 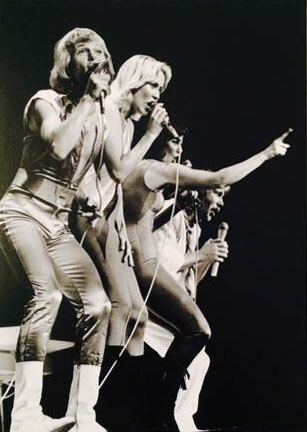 ABBA – The Official Photo Book has the full co-operation of Björn, Benny, Frida and Agnetha, who have contributed a foreword (as well as personal commentaries on many of the images featured) and charts the four members careers before the formation of the band as well as the band’s career from their winning performance at 1974‘s Eurovision Song Contest to the present day. The book contains more than 600 pictures, more than 100 of which have never previously been published. These images include private photographs, behind-the-scenes tour shots, unpublished photos by eminent photographers and photos of all four members taken in recent months. Max Ström Publishing has worked with award-winning picture editor, Bengt Wanselius, and Petter Karlsson, one of Sweden’s most talented writers, to create this unique book, more than 400 pages-thick, and in the format of a classic LP. It is printed on high quality photo-book paper and is designed by Patric Leo who also designed Benny Andersson’s latest records. PledgeMusic is the leading international direct-to-fan platform offering artists a unique way to engage their fans in the music making process whilst interacting with PledgeMusic’s global audience of music consumers. Since it’s inception in 2009 PledgeMusic has worked with labels and artists to deliver high impact campaigns focusing on quality messaging, content and presentation, resulting in ten top 40 albums to date with top 5 chart placings in the UK, Europe, Canada and Australia. 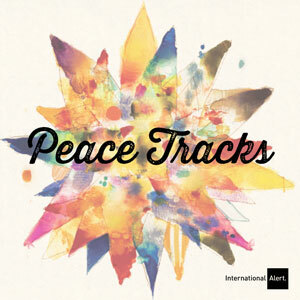 Successful campaigns have included Slash, Bring Me The Horizon, Ginger Wildheart, Ben Folds Five, Killing Joke, Emmy The Great and Rachel Yamagata amongst others.